The story not the star: how do you Bridge a Kim Bodnia-sized gap? Something novels do far better than TV is closure. Get to the end of a book and you’re pretty sure that you’ve reached the end of a story that hangs together as a single entity. Book authors are freer than show runners to bump off or neglect characters. They can make decisions based on their idea of an overall vision for the novel or series of novels. Though Conan Doyle famously brought back Sherlock Holmes, the example is feted because it’s relatively unusual. Prequels and sequels are possible, as they are on TV, and although it’s – again – very rare, you can also drop books into your timeline in a non-chronological way without wondering whether your actors have aged in the meantime. For example, the ‘Berlin Noir’ Bernie Gunther series of nine thrillers by Philip Kerr ‘begins’ with the first novel, March Violets, set in 1936. But the sixth book, If the dead rise not, is set in 1934. (Interestingly, fans of Kerr’s work reckon the best way to read the series is in the order in which it’s written.) In TV land, matters are rather different. All kinds of things can lead to changes in timelines, character development or even plot. In the US, it’s quite common for shows to be cancelled mid-season, which is a slap for the (presumably small) audience that has taken the trouble to support the show. Falling ratings towards the end of its run saw The West Wing timeline lose a year. Even in the more-patient UK, The Hour will not return for the third season that would, according to its producers, have brought the storylines to a decent conclusion. Anyone who was charmed by the first series of Nick Berry vehicle Harbour Lights, and its whimsical portrayal of a port where nothing happened, would have been bemused and possibly repelled by the kidnaps, hold ups and shoot-outs of series two as well as the continuity errors between the two series. Changing strategies at ITV saw Foyle’s War axed and then brought back – meaning that scripts covering the period 1943-44 were scrapped and the action awkwardly shifted to Cold War themes: no longer do Foyle, Milner and Sam rattle around Hastings: instead they roar around London. (Actually, make that Foyle and Sam roar around London for Milner has quite disgracefully been chopped from the character list – but I digress.) Most impressively of all, the 14-year gestation of Our Friends in the North saw plot and theme changes and episode 1 rewritten and reshot half-way through the series. Now very few people will mourn the creative compromises made during the making of Harbour Lights. But for two Nordic Noir series non-creative issues have impacted on the creatives, to the series’ potential detriment. In Borgen, for example, the first two series form a single unit of 20 episodes, while the third series – added after the show’s international success – sees all sorts of changes. Some of those are necessary to develop the characters but I can’t help but wonder whether the series would have been different had Pilou Asbæk been available more widely to play Kasper. It is inconceivable that had he been available he would not have remained one of the main three leads. Yes, Kasper’s switch to TV1 (and Katrine’s shift to shpindoctor) would probably still have made sense, but one of the problems with series 3 is that we hadn’t really bonded in series 1 and 2 with Torben Friis in the same way as the brilliant and flawed Kasper Juul. Had the producers known (a) that they were getting a third series (b) that they’d need to promote Torben’s character, it’s possible that he’d have been written in series 1 and 2 accordingly. This isn’t to suggest that the third series of Borgen is a disaster. It is, at times, sublime. But you do wonder what they would have come up with given a completely free hand. 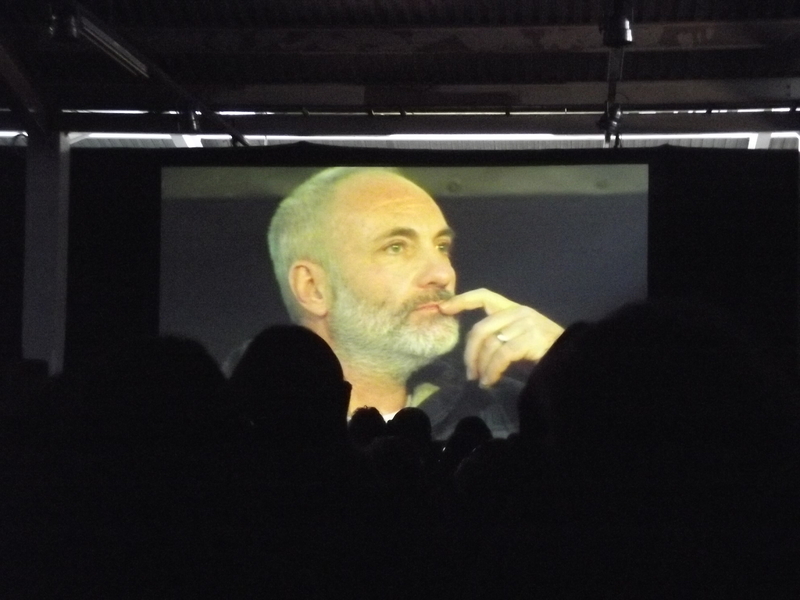 Kim Bodnia at Nordicana earlier this year. Will he be back on the Bridge? But imagine it had been Sidse rather than Pilou who had thrown in the towel. That’s almost the challenge for the team putting together the third series of The Bridge. A number of people have described the second series as the finest ten hours of Nordic Noir TV – no pressure for series 3 then! But there’s confusion about what has happened to lead character Martin Rohde. Originally actor Kim Bodnia was due to take part in series 3. Then it was alleged that Bodnia had had a bust up with the producers about their plans for the character – which was subsequently denied in an interview in which the two lead actors say ‘anything’s possible’ (in a not especially convincing way) but in which they also confirm that Martin is in prison and there aren’t any plans for his appearance. That is not a great position for fans to be in. Much of what was perfect about The Bridge was the relationship between Rohde and Saga Norén, brilliantly played by the two leads. If Rohde is not present, Norén’s character will need to develop, cut off as she now is from her only friend. That may or may not lead to an excellent story arc. But the satisfaction of seeing the crime solved in each series was also balanced by the emotional rollercoaster ride as Martin struggled to come to terms with the murder of his son in series 1. It was never confirmed whether Martin did or did not kill Jens Hansen and fans have been arguing for and against since the series 2 finale. Some of us have been rather excited to see how the show will deal with the matter. We weren’t considering that the way we’d hear of Martin’s innocence or not was via the cast list for series 3 and that’s a huge disappointment. The story seems to be taking second place behind the compromises required by the TV production process. The show’s producers have a month or so to get everythng lined up for the production of the third series and we have every confidence in them. But it is worth considering that a novelist would have had a very different decision making process. With fewer stakeholders, the novelist could have put the story first and the stars second. Either way, it looks as though there may be a Bodnia-sized gap between Copenhagen and Malmo when the series 3 opening credits roll. The millions of Bridge fans worldwide will be nervous that the team will pull it off, even while they are rooting for them to do so. 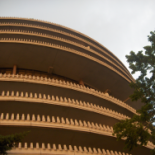 This entry was posted on 14 August 2014 by Cafe thinking in Borgen, TV, Uncategorized and tagged Bernie Gunther, Borgen, Foyle's War, Harbour Lights, Our Friends in the North, Sherlock, The Bridge, The Hour, The West Wing, writing.